There is something about this weather that makes me want to curl up on the couch with Bella and a good book, Michael watching sports on TV and a fire roaring in the fireplace. 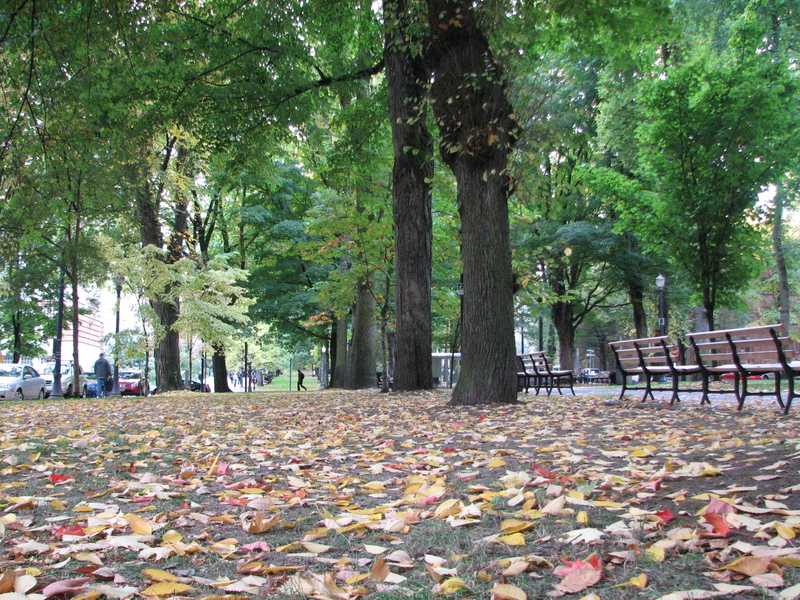 Fall is here in Portland. It was sunny and nearly 70 all last week but then it turned. 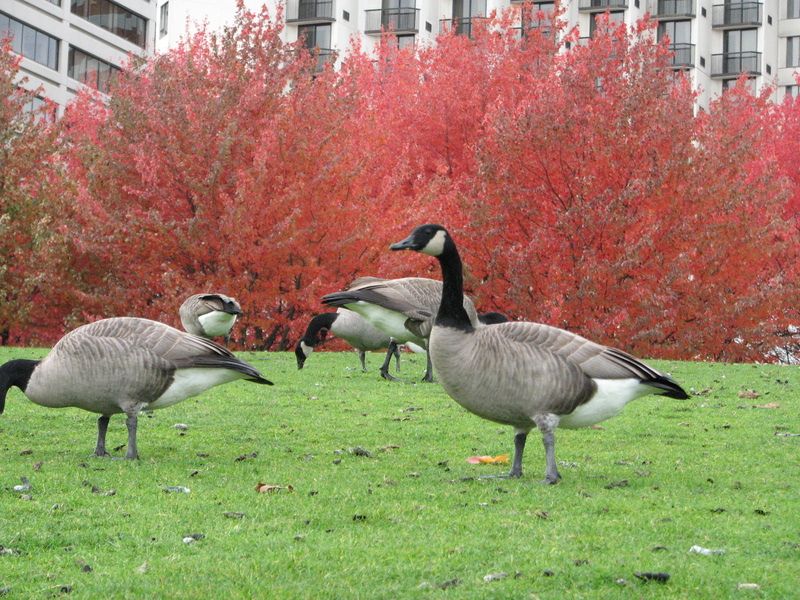 The leaves changed to orange and red and there is a chill in the air. It’s too cold to bike to work anymore for me. Michael has been doing so because he’s much more hard-core than I am. But with the light fading and the time change nearing, he’ll even quit biking here shortly. Tuesday morning I woke up to everything covered in frost, my car iced over and it was 29 degrees. Brrrr! I definitely do more cooking in the fall and winter time. Summer is just too busy. Not only does the colder weather make me want to hibernate, it makes me want to make comfort food and the crockpot is the perfect way to achieve that. Something else I should mention, our oven has been broken for almost a month now. No idea what happened or what broke, but it’s dead. At least the stove still works or we’d be in really bad shape right now! This recipe that I found online last week called for it to be baked in the oven in a Dutch oven. Since our oven is broken, I used my crockpot instead and it worked great! Place the flour in a large bowl and add the beef cubes. Roll them around to coat. Pour 1 tablespoon of the oil into a large Dutch oven or other oven safe stew pot. Add half the beef cubes (it's important not to overcrowd the beef if you want it to brown instead of boil) and sear on medium high heat for a couple of minutes, rotating the cubes to get the sear on all sides. Remove the beef from the pot, add the remaining tablespoon of oil and repeat with the remainder of the beef. When seared, remove all the beef and whisk in 1 cup of stock. Scrape up all the bits on the bottom of the pot and whisk them into the stock. Return the beef to the pot and add the onions, carrots, garlic, rosemary, thyme, remaining beef stock and red wine. Stir in the tomato paste and season. Cover and cook in a 350 degree oven for 3 hours. Serve over potatoes, egg noodles or rice. Makes approximately 4 servings but the recipe can easily be doubled. The recipe was an easy one to throw together. I cooked it for about 7 hours. Towards the end of the cook time, I checked on it and it was too soupy for me. I wanted more of a thick gravy. I mixed equal parts of gluten-free flour (from Trader Joe’s) and water in a bowl until it was a thick paste, then I added that to the soup. It didn’t take long for it to thicken up and it was a nice gravy. I know it’s silly, but I was incredibly proud of myself for figuring out how to thicken the broth and that it actually worked! The stew was a tad on the bitter side so I added a spoonful of brown sugar. That took care of it. I got 6 servings out this but they were generous servings. It could easily be 8 servings. I calculated 231 calories for 6 servings, which is an excellent number in my book. It’s a hearty, filling stew for a low number of calories. What I like best is that I now have a bunch of leftovers for lunches this week. Michael liked the stew a lot. I liked it as well but as I was eating it I thought, This would have been great with chunks of potato in it. Next time I will try that. 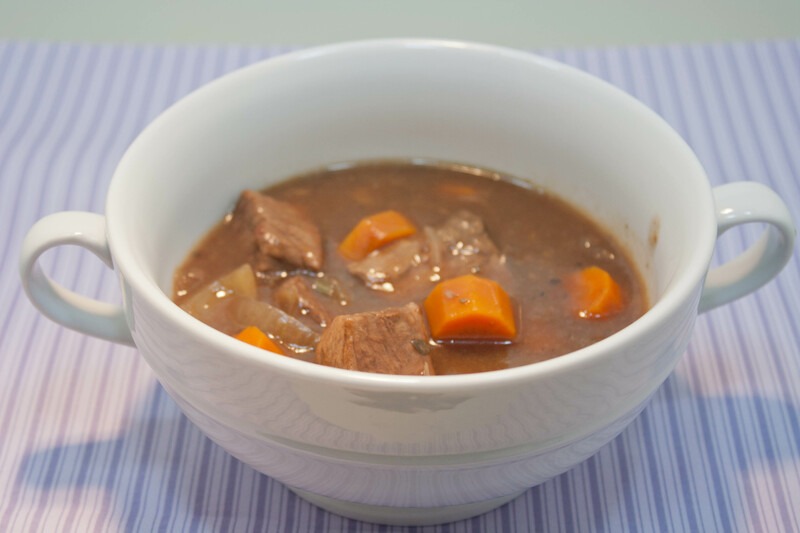 I liked this recipe much better than a previous version I tried, Flemish Beef Stew. We ate the stew with some salty corn tortilla chips. That extra salty flavor and crunch went nicely with the stew. I’m ready to get back into trying new recipes. I have a list of ones I want to make this winter. I’ve stocked up and prioritized them. It’s time to put the thicker comforter on the bed, bring out the sweaters from storage and make more comfort food! What is your favorite comfort food for Fall and Winter? Any recipes you want to share? Yeah, that’s way too cold to ride your bike to work! 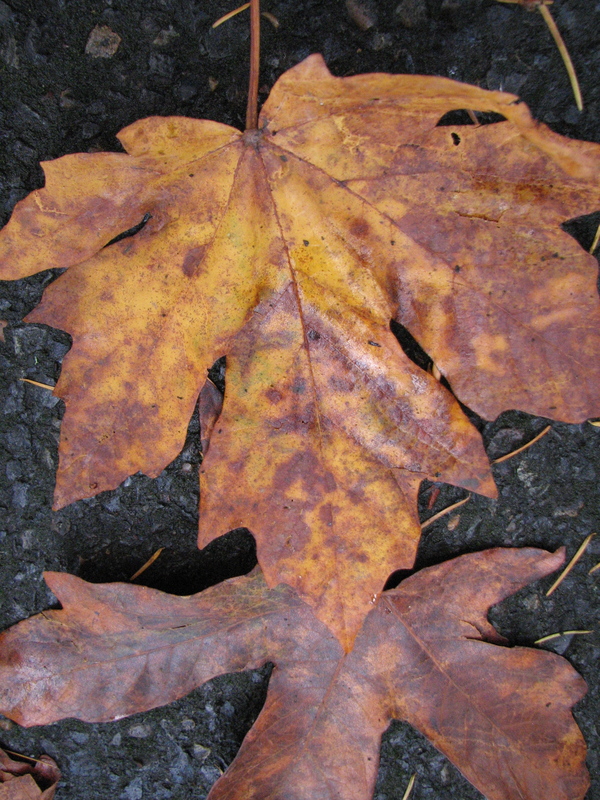 Fall is my favorite too. I love being cozy inside the house! Beautiful photos! Looks good. I’m pinning this one. 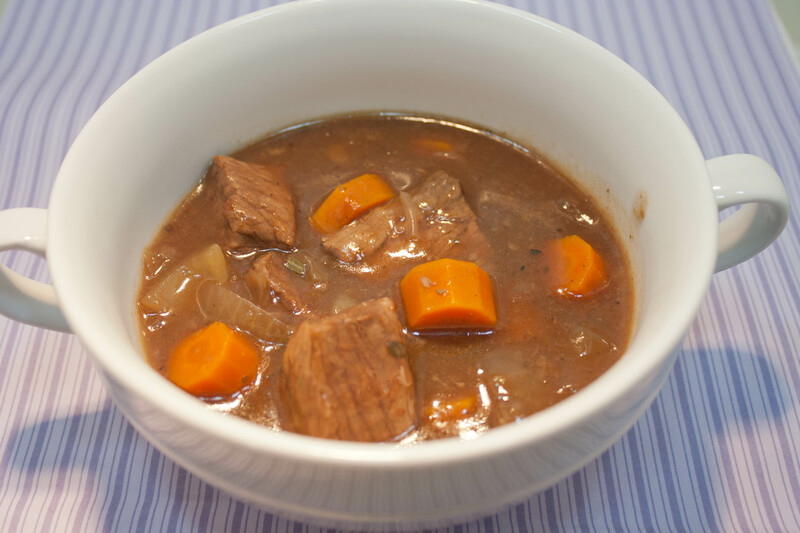 I am the same way – as soon as the temps dip, I think pot roast, beef stew and comfort food!! I like to make this Chicago Style Italian roast beef – great for the first night, then makes amazeball french dip sandwiches later in the week! We’ve been having some serious fall weather in NYC also…and it definitely calls for hearty stews like this! That looks delicious! I am always looking for easy and yummy crockpot recipes. I’ll have to try this!